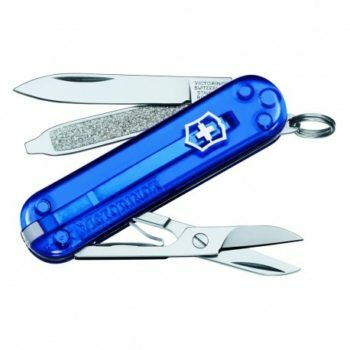 Victorinox Swiss Army "My First"
Home / Victorinox Swiss Army / Victorinox My First / Victorinox Swiss Army "My First"
Swiss Army knife-maker Victorinox has developed My First Victorinox comprising useful tools with numerous functions for younger users. 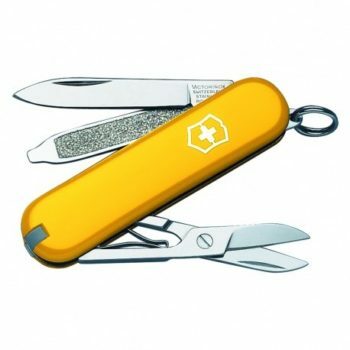 Many children will first come into contact with a multi-functional tool that belongs to someone in their family, perhaps their mom or dad, and will want to try out a “grown-up one” for themselves. 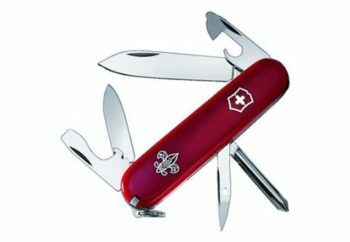 To ensure their first encounter with a pocketknife is not too challenging, It has a short blade which does not have a pointed tip but is, nevertheless, very handy for day-to-day use. 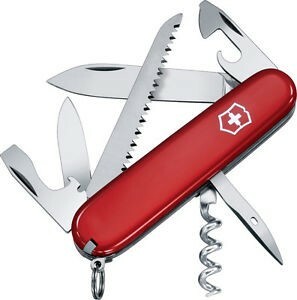 The combi-blade serves as a cap opener, tin-opener, screwdriver and wire stripper. Tweezers and a toothpick are accommodated in the handle. 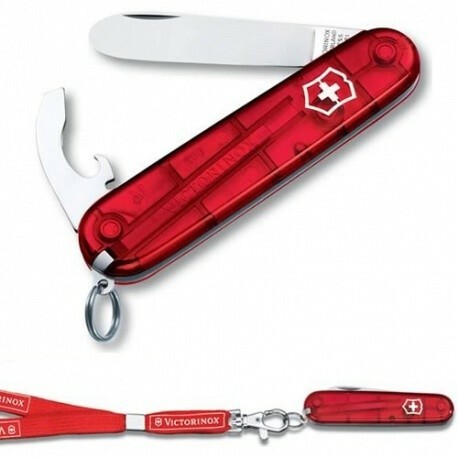 My First Victorinox tools come in presentation boxes with a lanyard and a chain for easy access to your knife in your pocket or around your neck.